I spent three decades in complete snobby rejection of top40 music. I used to pride in listening to alternative music only, except for Madonna ofcourse, the queen of pop! REM, U2, Depeche Mode, the Cure, PetShopBoys were at the core of my musical taste. I rejected all the teenage bop songs, didn't even dance to them: lambada and macarena? Yuk! Even George Michael didn't pass my test. I hate 80s music till this day and only have vague memories of the 90s: was it Snap? Ok, there was Everything but the Girl, Oasis and PM Dawn. 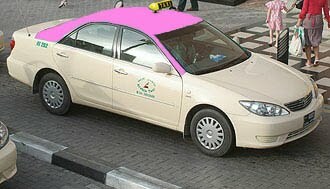 As a pinktaxi, given the nature of my occupation, I listen to the radio more than anyone else. The first admission was with Bruno Mars and Eminem song that makes my heart flutter even though it is a rap song. I had just crossed the threshold with my taste for Top40. Then my sister started corrupting me in a bad way, taking advantage of my newly receptive behavior: she would whisper about Lilly Allen's "its five o'clock in the morning....." and the British singer's distinct accent sung over an American rapper's made for stunning contrast. I would have blushed in embarrassment before admitting to liking Kate Perry. I rejected her with certainty at first songs. Then came TGIF with its Palo Alto by Franco, ambiance. The lyrics caught me. I daydreamed of Farhadian's pink flamingos in the pool. And my brother, the music expert, gave me a pat on the back, in semi approval: "well she did make it on the Vanity Fair cover!" Kate Perry's latest song "We against the world" was an immediate love at first tune. I crank it up when it plays. It lifts my spirits and I giggle at the fact that I like teenage music. I am the one that points it out to my kids. So are you saying I am the sister with the teeny bopper music taste? Perhaps! ha ha! I am totally guilty of enjoying commercial music, with a catchy tune. It's the music I enjoy dancing to and of course....spinning to! On the other hand, I have my alternative taste too, and I like to listen to DM and New Order and The Cure still to this day, but may I remind the blogger than when she was still stuck in her 80s groove, I used to listen to her currently favorite group Coldplay??? Yes, you heard it....back in 2002. That's almost 10 years ago! But that being said, I love my conversations with the blogger who gives me music recommendations for my spinning class.....I owe her Calvin Harris and Example. Top 40 fan at 40! The irony! Jidd!He screamed as he entered my car when I was taking him to his swimming lesson.That was my overgrown 11 year old grandson,who looks like 14.He was complaining about my preset musical stations on my car radio. "How come you like to listen to AD classic,and Musique Classique in summer?". He quickly scanned for Virgin radio,and started humming the lyrics. I was listening to the BBC this morning about how important it is to expose your children to classical music,and explain to them the history behind it.After all was not Mozart a pop artist of hIs time?